I remember Barney from back when I was a kid. Not so much when I was little (not sure if he    was around when I was small), but when I babysat. Kids seemed to like him then, but none of   my kids really got interested in Barney.... until Annabelle. She LOVES her Big Purple Dinosaur! It’s a night of epic proportions filled with imagination, caring, learning, singing and dancing when Barney®: 3–Movie Pack roars onto DVD October 15, 2013 from Lionsgate and HIT Entertainment. This super-dee-duper collection of three feature length movies will fill the hearts of young ones as they enter the land of make believe, have fun making music and celebrate the biggest event of the year – Christmas. 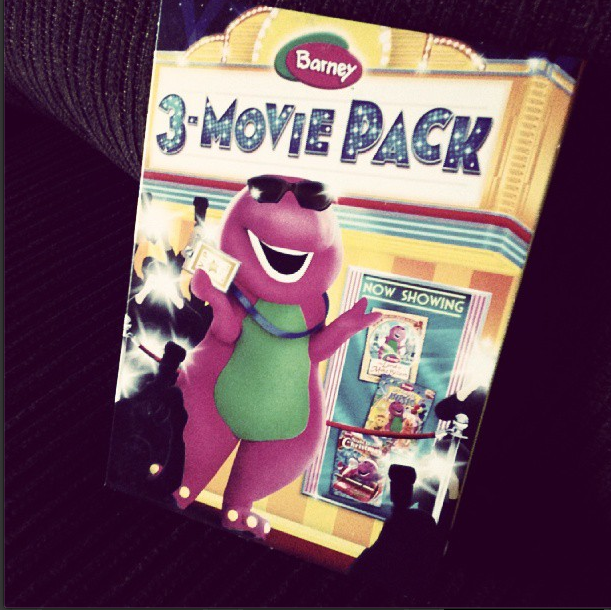 The Barney®: 3–Movie Pack DVD will be available for an incredible low price of $19.98.